Time tracking must be turned-on (enabled). To turn enable, go to Settings > Features (must be an admin). Roadmap's API must be enabled, and each user must have their own (unique) identify token. You've done some work that you want to log into Roadmap. If you're not logged into Roadmap at the moment, when you visit Odometer you’ll get redirected to log-in. 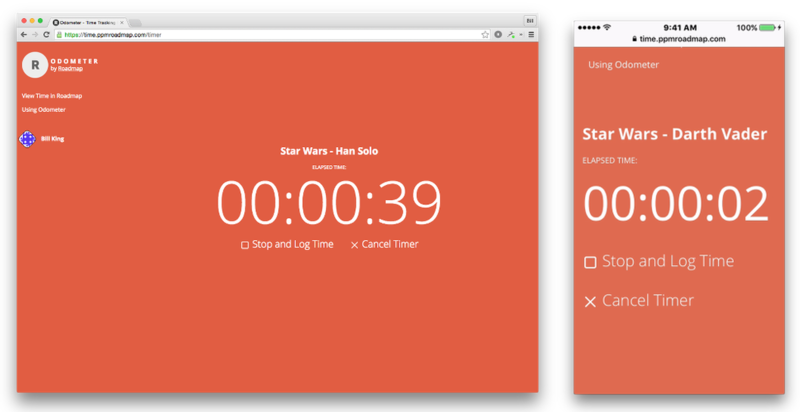 We've built Odometer around logging actual time spent (or using a timer) against existing work items or an overall project-level assignment. Go to Project 360 > Work > Grid to enter time for a specific work item. Or go to Project 360 > Manage > Time to edit or delete an existing time entry, or to enter time against the overall project. Go to Resource 360 > Work Items and enter time for a specific work item or overall project level assignments. Or go to Resource 360 > Time to edit or delete an existing time entry, or search for the specific work item or project. Both pages support week-at-a-time or daily time entries. You can edit or delete time entries on the Project 360 or Resource 360 pages. Go to the Time Tab to run cross-portfolio time reports. 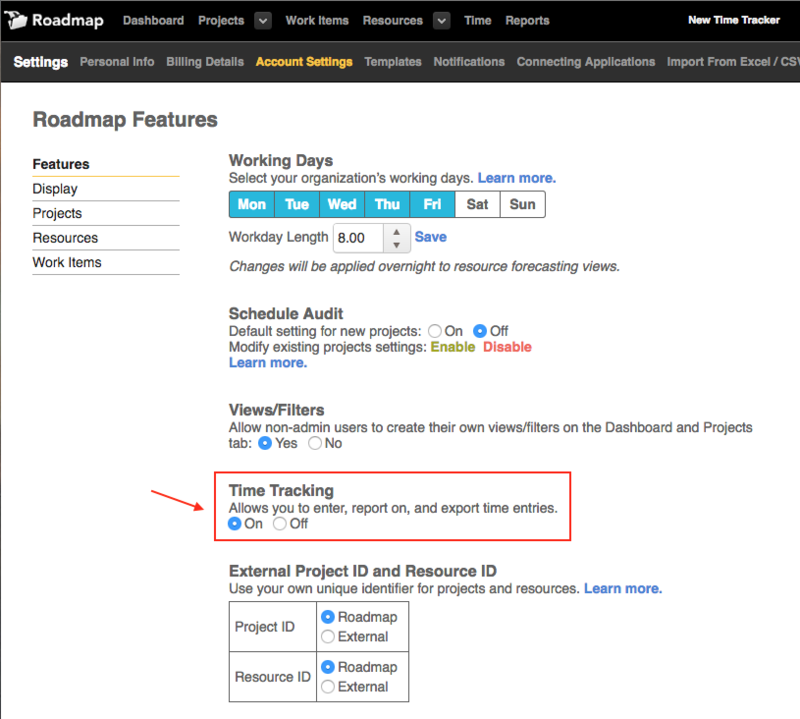 Use filters to narrow by project, resource, reporting timeframe or any attributes. Easily export to Excel.